I am in love with a makeup brush and I have to tell the whole world about it! 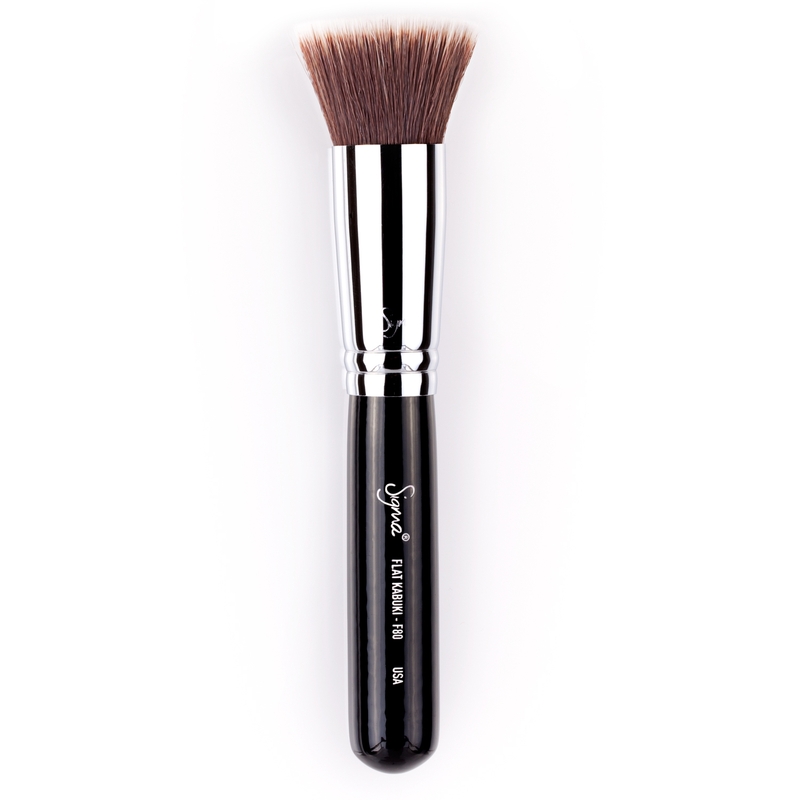 My fav makeup guru, Jaclyn Hill, turned me on to this brush–Sigma F80 Flat Top Kabuki. This brush is the bomb! I can’t say enough awesome things about it. Prior to using the Sigma brush, I used my fingers to apply my foundation or a sponge. I will NEVER go back to doing that again. Using the F80 brush to apply foundation gives you an airbrushed look to your face and the foundation just goes on flawlessly. The F80 is made with Sigma Beauty’s Synthetic Sigmax HD filament. The bristles are incredibly soft and dense. Because of the way the bristles are designed, your foundation goes on seamlessly. Its a relatively inexpensive brush, but it’s worth every penny. You will be enjoying this brush for years. I give this brush 4 paws up!